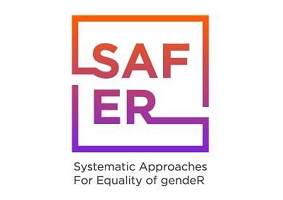 The two year program SAFER is a European Funded Program where the Association for the Prevention and Handling of the Violence in the Family (SPAVO) acts as a project coordinator with the VILNIAUS UNIVERSITETAS (Lithuania), Profexcel.Net Ltd (Ireland), Neophytos CH. Charalambous (Institute of Development) Ltd (Cyprus), CESIE (Italy), GRANTXPERT CONSULTING LIMITED (Cyprus), Hellenic Association of Positive Psychology (Greece), YouAct (United Kingdom) as partners. The aim of the Program is education and raise of awareness of girls and boys about gender-based violence as a way to prevent it at an early stage. To educate children from young age to build healthy relationships in order to prevent gender-based violence. The project aims at sensitizing and awareness raising of primary school teachers, students, parents and relevant stakeholders regarding GBV; and supplying teachers with relevant classroom material enabling them to discuss about GBV in their classroom, challenge existing gender stereotypes and ultimately prevent GBV.